Human beings are strange creatures. We isolate our own kind. Judge based on our senses and react according to what our emotions say. Somewhere out there, one of us is scooping a child that is not our own blood into our arms, whispering: It's okay. You're safe now. One of us is donating money. And if not money, time. When you give in to your demons and lower yourself so they shackle your wrists and ankles for the afternoon. Humans. We always do one thing. 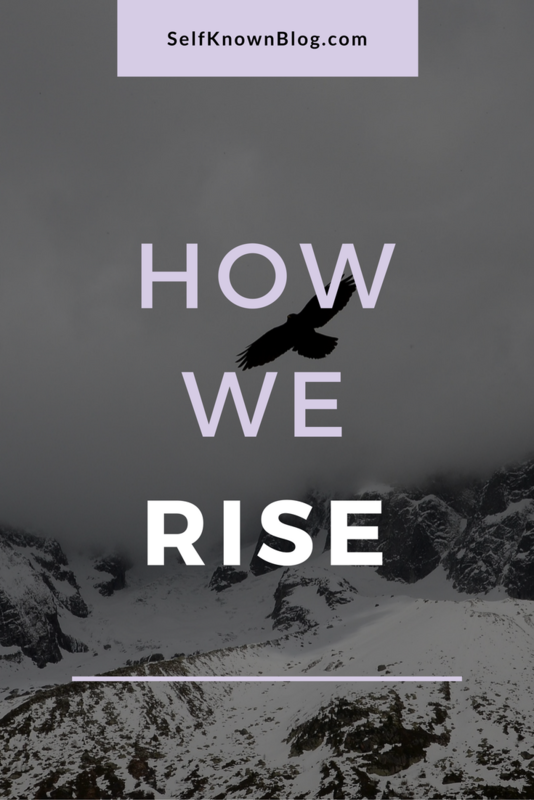 Bringing along the cracked foundations, broken bones and peeling skin, we rise as one and we rise as a mass. We bring together our shattered pieces to fuse into something so much better than the Original Masterpiece. After a lifetime of avoiding, scrambling, running screaming from the lows and cracks, I have found the answer, friend. Don't run away. Run toward. From misery, love and new bonds are formed. Sometimes we must fall to understand the blessing of standing on our feet. "Somewhere out there, one of us is scooping a child that is not our own blood into our arms, whispering: It's okay. You're safe now." What a beautiful image! And man, this post has got me thinking: humans are so complex. We're so crazy, passionate, painful, wonderful little beings. I hope your 2017 brings you confidence and joy! :) Have a great year! PREACH IT, GIRL. I hope that you have a beautiful 2017!